Situated on a picturesque plot of land just off Covered Bridge Road in Prospect, these homeowners loved their location and the 20 year old home they built, but knew an update was necessary to carry them through the next phase of their lives. 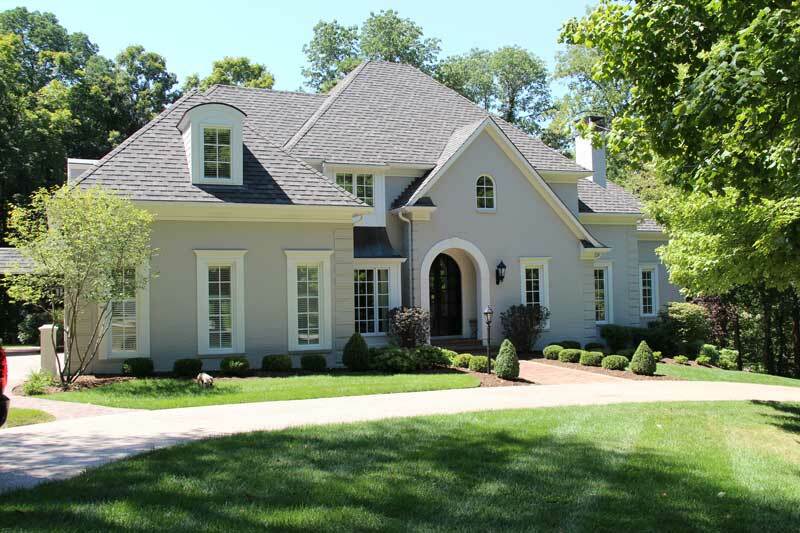 The home had character, but was originally built with builder grade, standard issue windows and doors. Their daughter’s impending wedding was going to leave them with an empty nest and put a deadline on the renovation as they wanted to host the reception at their home. 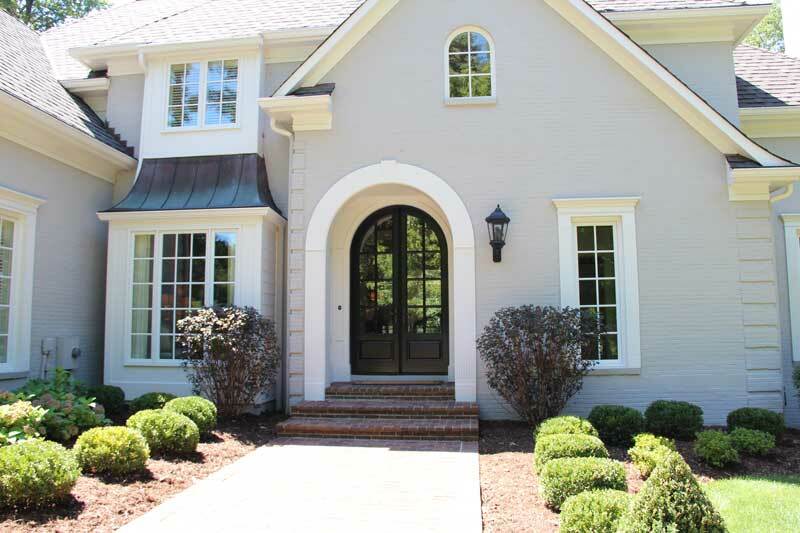 The 9-1/2 foot tall Collection Custom Mahogany Entry Door by Signature Doors features an arched design and fits comfortably with the European look of the home’s exterior. The door features a custom stain color mixed especially for this project and is protected by the Nortica Finish System by Wood Doctors of Jeffersonville, Indiana (website). The team decided to eliminate the rectangle top transoms found over all of the original doors and windows and opt for taller windows and doors with larger light divisions to better suit the scale of the home. Marvin Round Top French Casement Windows replaced a drab window with round top transom to bring a touch of sophistication to an over-the-sink kitchen window. Round top transoms over the patio doors in the hearth room were custom-designed by Architect Tim Winters. To infuse more personality into the home, several signature design features were developed by Winters, a prominent Louisville architect, including hearth room transom windows that help bring the outdoors in, a showcase bathroom window that frames a unique clawfoot tub, and a dazzling custom entry door that sets the tone for the home’s stylish new look. The Door Store and Windows team, led by Sales Consultant Don Erickson, provided sales, coordination and installation for all of the new windows and doors in the home. The project was completed in time for the wedding. As a testament to the positive relationship that developed between Landis and the homeowners, he was a guest at the wedding reception. The homeowners were impressed with the quality of workmanship of the Marvin products and expect many more years of enjoyment from their home.